The costs of creating and releasing music have been greatly reduced the last few decades, but that doesn’t mean it’s easy to just whip out a few thousand dollars to record a new record or go on tour! Fortunately, there are also some pretty cool new ways to raise money for your music projects. Here are four that just might keep some dough in your pockets. Let’s start with the most obvious option – crowdfunding! Though many indie musicians have been successful with crowdfunding, it's way more than just getting some quick cash – it’s about building a relationship with your fans. Once you’ve established that relationship, you’ll be able to rely on your fans to help you fund other projects, support your career, and even spread the word about your music (as we’ll see later in this article). Way more options exist today than just the generic crowdfunding campaign. PledgeMusic is a direct-to-fan community that allows fans to partake in the music creation process from both a financial and creative perspective. 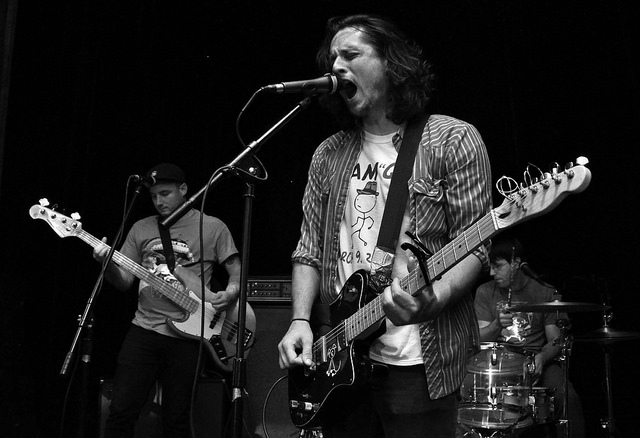 Will Dailey, an independent, Boston-based recording and performing artist, used PledgeMusic to create his album, National Throat, and build a fanbase that truly supports his career. Check out this free webinar interview with Will Dailey and the creators of PledgeMusic, Benji Rogers and Jayce Varden. Patreon is another great way to take crowdfunding to a new level. Instead of funding large projects like a full album, your Patreon supporters donate a certain amount, either per month or per piece of content you release. This content could be music videos, covers, or even original songs. In exchange for their donations, you can offer fans early access to music, personalized birthday songs, or even a say in the creative process of your next song or video. For more on Patreon, check out this exclusive interview with founder and indie musician, Jack Conte. Once you’ve built a strong relationship with your fanbase, you can take the next step and set up your own membership portal or subscription service on your website. Basically, you offer your fans something really special in exchange for a recurring monthly fee. For example, you could give fans early access to information and new music, exclusive live-streamed concerts, Q&A sessions on Google Hangouts, access to VIP passes, or personalized birthday messages. The key is to take the time to really figure out what kind of content and benefits your fans want. The Novelists are a lyrical folk/rock group from Nevada that build their sound around four-part harmonies. They created a subscription service, The Novelists Book Club, in which they send their fans two original songs every single month in exchange for a monthly fee of $20. Then, when they are ready to put out an album, they get their book club subscribers to help choose the songs. If you need cash quick, a mini house concert tour may be your best bet. For the most part, you keep all the profits from house concerts, so it’s much more lucrative than your traditional gigs. To keep the costs down, stay local so you don’t rack up many travel expenses. If you can, try to schedule the tour in the summer or during the holiday season when people are throwing parties anyway (think graduation parties, Memorial Day BBQs, and New Year's Eve). Try to charge $10 per person; even if just 10 people come, you will have made $100! If you don’t have an email list yet, make it your next project. Email is actually the best way to get in touch with your fans, especially if you want them to do something like buy an album, go to a show, or watch your newest music video. Of course, you can use your email list to promote your crowdfunding campaign and house concert tour, or you can use your email list to sell directly to your fans. Let’s say you’re recording an album but find yourself a little short on cash. Record one song and offer it exclusively to your email list. Tell them you’ve got some great songs in the works, but need their help to finish recording. You may be able to sell this song for more than a typical MP3 because you’re positioning it almost as a mini crowdfunding campaign. Granted, the amount of money you can raise is entirely dependent on the size and engagement level of your list, but both of those things can be improved over time. 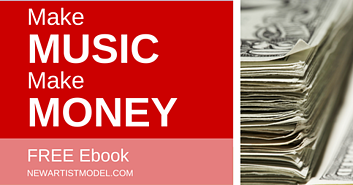 If you’d like to learn even more great strategies on how to make money from your music, download the free ebook from the New Artist Model online music business courses. You’ll learn how to think of your music career like a business, create an actionable and personalized plan, and you’ll be able to do it all with the resources you have available right now.